A few photographs showing some great looking bespoke ladies shirts we made for a group of young ladies at a firm in central London. 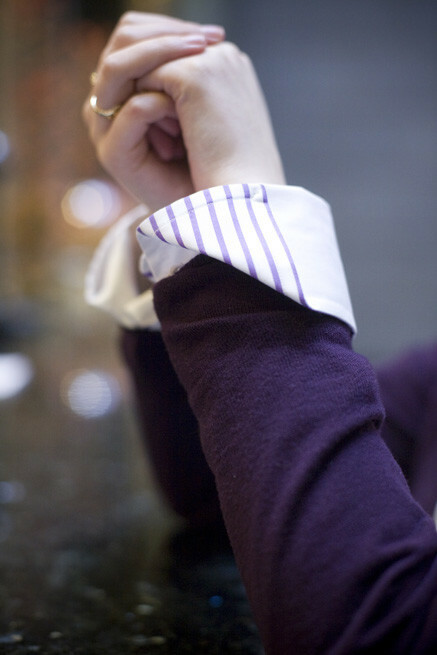 The crisp white cotton is complemented by stripped trims on the collars and cuffs and mother of pearl buttons (purple of course!) from Liberty’s. See also: bespoke, central London, collars and cuffs, group, ladies shirts, mother of pearl buttons, showing. collars and cuffs Archives - Bespoke Suits By Savile Row Tailors.